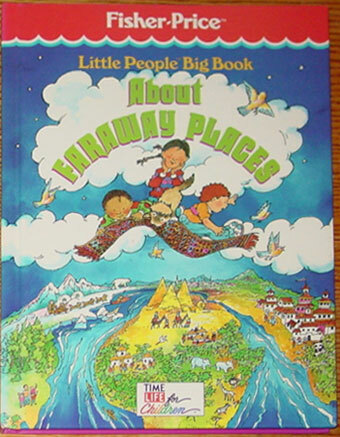 Number Little People Book - "About Far Away Places"
FPT5181 - 64-page hard cover Little People book titled "About Far Away Places". The book cover has a red Fisher-Price awning bar across the top and is marked "Fisher-Price" in white in the center. The book is marked "Little People Big Book" in yellow under the Fisher-Price awning bar. The bottom of the cover has a white rectangle marked "TIME LIFE for Children". Measures 11-1/4" tall, 8-3/4" wide. ISBN #0-8094-7504-9. 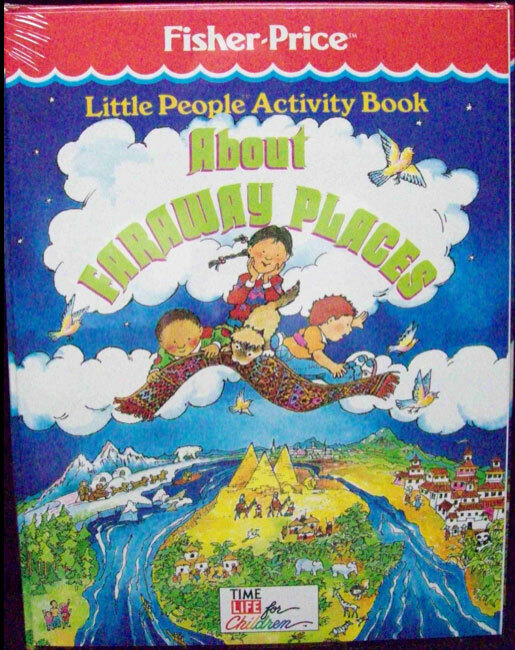 FPT8187 - 24-page soft cover Little People Activity Book titled "About Far Away Places". The cover has a red Fisher-Price awning bar across the top and is marked "Fisher-Price" in white in the center. The book is marked "Little People Big Book" in yellow under the Fisher-Price awning bar. The bottom of the cover has a white rectangle marked "TIME LIFE for Children". Measures 10-15/16" tall, 8-7/16" wide. FPT19669 - Mint (unopened) hardback and activity book set.